The nice thing about appeals court decisions is that they’re often short. The court generally doesn’t have to plow through a kitchen sink of claims and instead gives us a brief education on a fine point of the law. In Smith v. Casey from the 11th Circuit, the issue is exactly who has to have registered the copyright for purposes of standing. 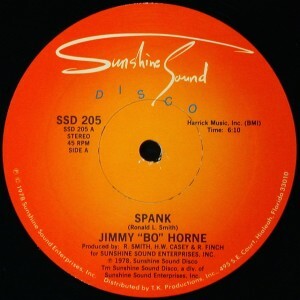 Ronald Louis Smith, Sr., now deceased, wrote a song called “Spank.” Sunshine Sound produced a recording of the song and in the Recording Agreement Smith agreed he would “sell[ ], assign[ ], and deliver[ ]” his rights to the composition in exchange for royalties. Smith never executed an assignment. Nevertheless the copyright in the composition was registered by Harrick Music, an affiliate of Sunshine Sound, identifying Smith as the composer. Smith and Sunshine Sound had a falling out. The dispute was settled with Sunshine Sound retaining rights in the sound recording and Smith retaining the right to be paid royalties. The agreement was silent, though, on who owned the copyright in the composition. After the settlement, Harrick Music administered the rights but, according to Smith, never paid him any royalties. Shortly before his death Smith sent a cease-and-desist letter to Harrick revoking its authority to administer the rights. Smith’s son, on behalf of the estate, sued Harrick but the district court dismissed the suit on the basis that Smith hadn’t registered the copyright in the song. But the facts are a bit of a head fake—you’d think that the outcome turns on who owned the copyright after the settlement, but it doesn’t. To bring a copyright infringement suit, one must be a legal or beneficial owner of the copyright. 17 U.S.C. § 501. Smith was a beneficial owner because he had a royalty stream, so he had standing, albeit subject to the registration requirement. Harrick Music registered a claim to copyright in the “Spank” composition, specifically identifying Smith as the composer and informing the Copyright Office the work was not made for hire. Nothing in § 411(a) indicates that a composer who has agreed to assign his legal interest in a composition, along with the right to register it, in exchange for royalties, may not rely on the registration his assignee files. Where a publisher has registered a claim to copyright in a work not made for hire, we conclude the beneficial owner has statutory standing to sue for infringement…. Were we to … hold otherwise, redundant registrations would be necessary for statutory standing purposes every time legal and beneficial ownership of the same exclusive right rested with two distinct parties, even if they joined together in filing suit against an alleged infringer. Absent clear statutory language requiring it, we do not believe Congress would have intended such a result. We hold the Smith estate has adequately alleged facts to support its statutory standing to sue for infringement of the “Spank” copyright. Smith v. Casey, No. 13-12351 (11th Cir. Jan. 22, 2014).